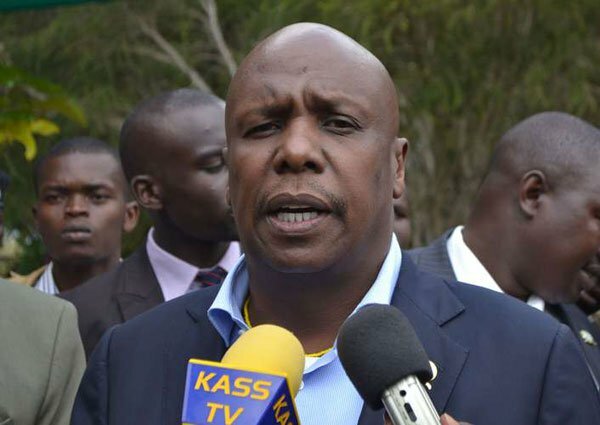 Kanu national chairman Gideon Moi has hinted at forging a political pact with Opposition leader Raila Odinga in 2022. The two have, however, kept the country guessing on what the deal could be between them. A push by leaders from Rift Valley and Nyanza to have the two partner in the next General Election heightened at the weekend with Mr Moi camping in one of Mr Odinga’s strongholds — Homa Bay County — for two consecutive days. The Baringo Senator attended a church service at Wikondiek SDA Church in Karachuonyo on Saturday and a fundraiser for small-scale traders from 80 market centres in Homa Bay County on Sunday. During these two days, leaders from both the Orange Democratic Movement (ODM) and Kenya African National Union (Kanu) pushed for Mr Odinga and Mr Moi to forge a team in 2022. Present during the fundraiser were Homa Bay Woman Representative Gladys Wanga, MPs Dr Lillian Gogo (Rangwe), Adipo Kuome (Karachuonyo), Anthony Oluoch (Mathare), Charles Were (Kasipul), Gladwel Cheruiyot (Baringo Woman Rep) and Nominated Senator Abshiro Halake. Mr Moi, who is also the Baringo Senator, gave the clearest indication yet of a planned partnership with Mr Odinga, saying residents of Nyanza should give them time to plan on how to complete the journey to Canaan. He made the statement at the home of fallen veteran politician and family friend Elisha Aketch Chieng’ in Ndhiwa. Mr Chieng’ was laid to rest a week ago. “Baada ya handshake, Raila na mimi tuko njia moja, ile urafiki ulikuwa na Baba utaendelea, tunapanga njia yenye tutapeleka wananchi ile Canaan Raila alisema. (After the handshake, Raila and I are one thing, the friendship between him and my father will continue. We will walk together and lay a road map to Canaan),” said Mr Moi amid cheers from the crowd. He added that Kenya will see the fruits of economic development after the handshake, and took a swipe at those already campaigning for 2022. “Let those going around continue doing so; we have a well-laid plan,” said Mr Moi. The Senator praised President Uhuru Kenyatta’s fight on corruption, saying no one should use a community as a shield when found culpable. “No matter who you are, if you are corrupt, you will not escape the dragnet,” he said. Earlier at the fundraiser, speaker after speaker asked Mr Moi to work with Mr Odinga and to back calls for a national referendum.